This is a small village, but it has an extraordinary cultural richness. I remember we went to visit it because one of my aunt's was very fascinated with it. 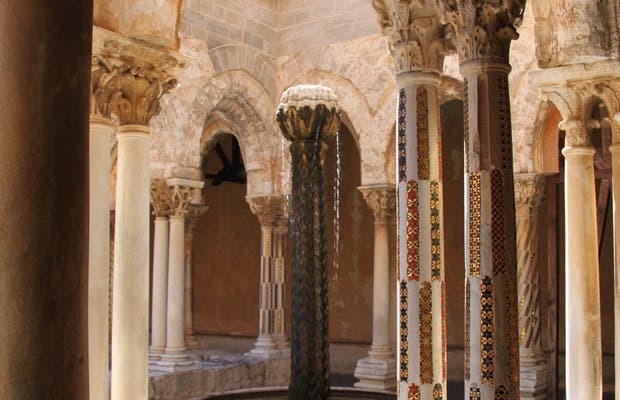 At first I wasn't very interested in going, but once we got there, I learned the charm of Monreale. The views were fantastic from the top of the mountain and, as I said, its monuments, including the famous cathedral, were wonderful. The Cathedral is Byzantine and its beauty is more than obvious. It's full of golden mosaics and tiles that shine with the Sun.